2 on 2 with goalie. Player 1 (defense) passes to player 2 (defense). 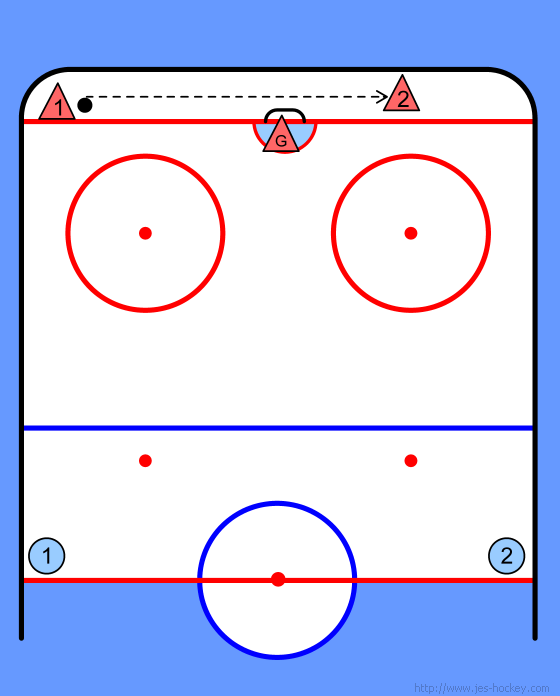 Player 2 passes to player 1 (offense). Defense 1 skates to the middle. After the pass defense 2 also skates to the middle. And offense 1 passes to offense 2. Player 1 skates to the middle and gets a pass from player 2. 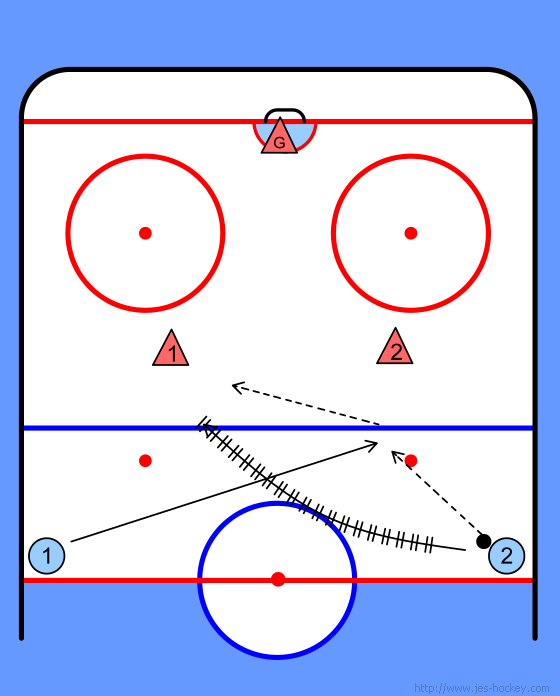 After the pass player 2 skates hard behind player 1 and gets the puck back. From there it is 2 on 2.